ABM, a Fortune 500 company and leading international provider of integrated facility solutions, needed to differentiate itself in a cluttered landscape where all competitors were claiming to offer the same benefits. 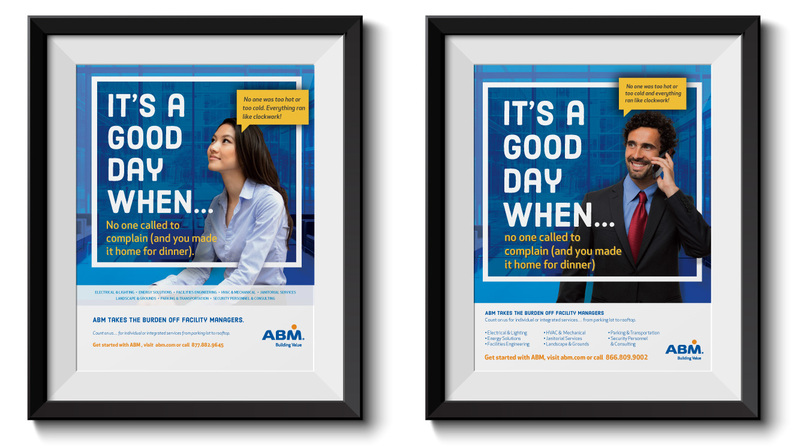 In order for ABM to stand out, Phase 3 developed a national trade publication ad campaign to communicate how ABM’s solutions address the specific pain points of their audience – facility managers – and emphasize the positive experience ABM creates for the end user. 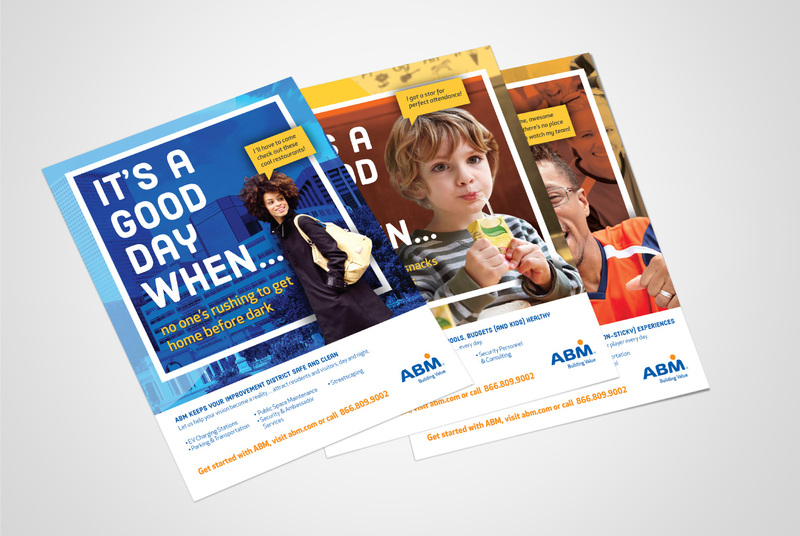 This client-focused, cohesive messaging approach humanized the ABM brand while showcasing the variety of solutions ABM provides to the many industries they serve.